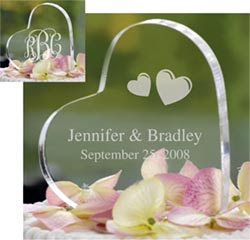 As we've continued planning our wedding, the hearts theme has been the most prominent. As I mentioned in my last post, a lot of our wedding items are centered around the heart - one of the most romantic symbols. We purchased our cake serving set, cake topper, invitations, and centerpiece designs based on this theme. Our serving set. 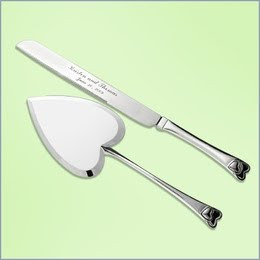 The cake server is in the shape of a heart and the tips of the knife and cake server are small intertwined hearts. We engraved the cake server and not the knife as is shown in this picture. I'll be sure to post pictures of the topper on top of our cake! We ordered our invitations from a company called Invitations by Dawn. Below are pictures of our actual invitations. 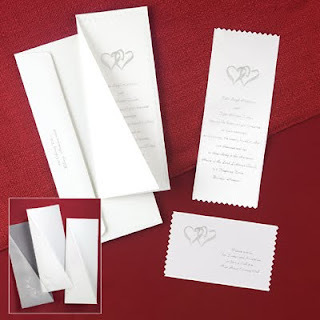 What is so cool about these invitations is the fact they are printed on fabric - they are ribbons! Remember those awards ribbons you would get back in elementary school that said 1st Place or 2nd Place? These are made of the same material. They came out amazing. Last by not least we have our floating heart candles. We ordered these off of eBay and ordered them in pink and green. They will float in glass vases filled with green or pink sea glass. The vases will be surrounded by pink rose petals and small votive candles on each side. I will post the centerpiece pictures in future blogs. Over all, we have finished purchasing everything we need for the wedding. The only things left are to book a limo, find my veil and shoes, and print out our custom made programs. Those are going to be awesome. My friend JC designed them for us using PhotoShop. They are double sided and will be attached to a fan stick. Programs as fans! What could be better for an outside wedding?! There are only 53 days until the wedding...a month and a half. I can't believe it. I think it will really begin to sink in once we have the bridal shower on March 6th. I promise to post photos from that as well! 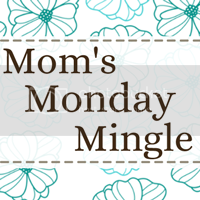 You make wedding planning seem so easy!